Copper Pipe is the only pipe that is safe for water distribution because of their non-toxic nature. Copper is basically a natural material, which is safe for health, thus, used mostly for plumbing work. DHY Trading Corporation has been using this material for manufacturing the pipes and, now considered as top-tier Copper Pipes Manufacturers in Mumbai. Copper basically provides a number of benefits that make it the first choice for piping purposes. We use quality-grade and lab-tested material and advanced technology in our manufacturing process, to ensure that our products won’t give their users any chance to complain. 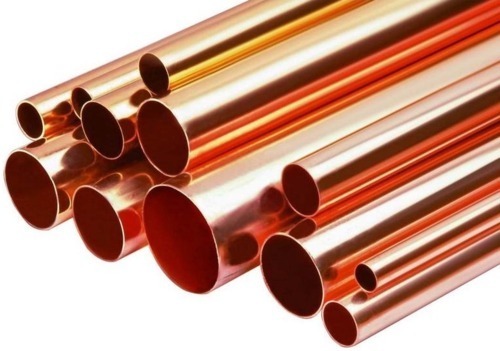 Copper Pipes require low maintenance and are highly durable. Investing in these metal pipes would be a great deal for the people who are searching for fit and forget solution. As we have our name among the top-notches Copper Pipe Suppliers and Exporters from India, so, we promise that our product quality and after-sale support won’t give you the chance to complain. Call us now or leave your email to discuss further.